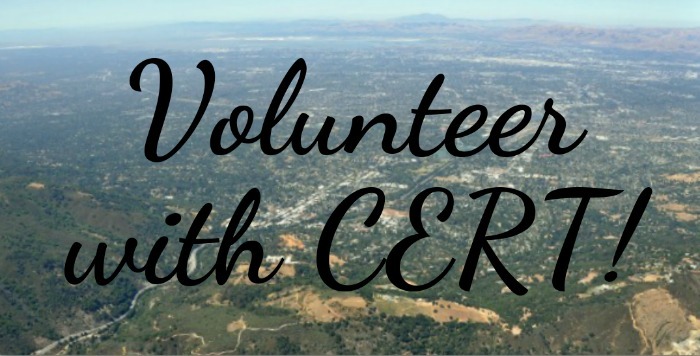 Los Gatos and Monte Sereno provide opportunities to volunteer in case of disaster through a program overseen by the Los Gatos-Monte Sereno Police Department. It’s called CERT, or Community Emergency Response Team. A new series of training events begins on April 30th, 2019, so if you are interested in getting involved, this is the perfect time to check it out. The cost is $35. There are a number of topics covered, such as disaster preparedness, light search and rescue, damage assessment, and much more. You can see the details on the town’s page for the CERT Training. 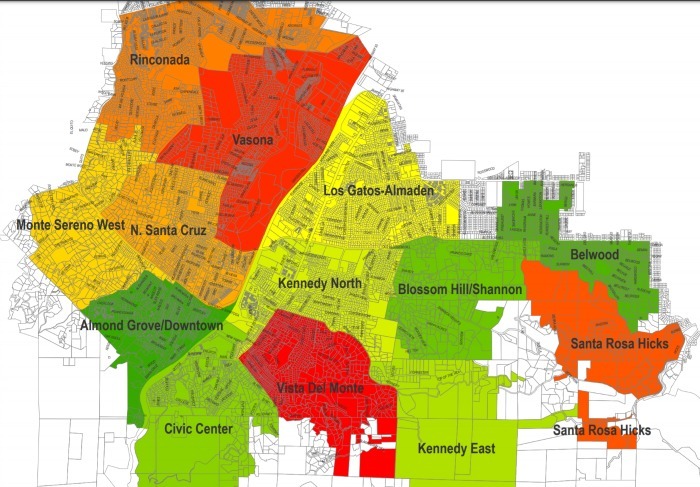 The white or gray areas are either county pockets not served by the Los Gatos-Monte Sereno Police Department or are nearby cities: San Jose, Campbell, or Saratoga. I’m hoping that the effort is not overly rigid in these boundaries as some of them don’t really make sense to my way of thinking. Part of the Santa Rosa Hicks area can only be driven to from Belwood, for instance. And there are some areas that are San Jose parcels with a Los Gatos mailing address that can only be accessed from Los Gatos – hopefully they would be included even if they aren’t technically in town.